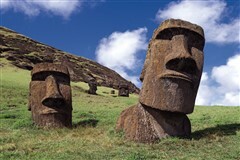 Visit the Moai head sculptures and climb on the extinct volcanoes of mysterious Easter Island. End your trip with a 4 night stay in the island paradises of Tahiti and her sister island Moorea to experience the fascinating French Polynesian culture. Day 10: Flight from Santiago to Easter Island. .
Day 15: Transfer by boat to Tahiti and overnight stay. Travel up to Ecuador and get up close and personal with the abundant and unique wildlife of the Galapagos Islands. Spend a few days in the oasis town of San Pedro in the Atacama Desert in northern Chile. Looking for a longer beach escape? The alluring Bora Bora is a short 1 hour flight from Tahiti, an ideal place to unwind by your overwater bungalow and explore the island's translucent lagoons. 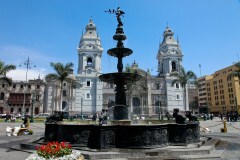 Our representative will pick you up from your hotel and transfer you to the airport for your flight to Lima. On arrival at Lima airport you will be met be transferred to your centrally located hotel. 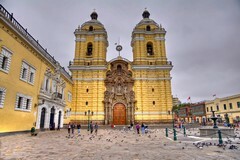 Depart this morning on a full day sightseeing tour exploring the most impressive sights of Lima along with some of our handpicked favourites. We will start in Miraflores market, a vibrant place visited by local chefs for its wonderful variety of fresh produce from the coast, the Andes and the Amazon. Take the chance to learn more about Peru’s diversity reflected in the colourful assortment of vegetables, fruits, fish and condiments. Our representative will pick you up from your hotel and transfer you to the airport for your flight over the Andes to Cusco. On arrival you will be transferred to your centrally located hotel. Your first morning in Cusco can be spent at your leisure, enjoying breakfast before exploring Cusco or relaxing at your hotel. 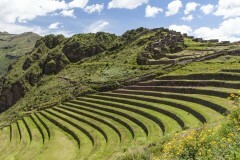 In the afternoon you will be met for your guided tour of Cusco and its archaeological sites. 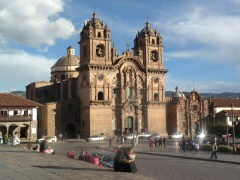 Your Cusco tour will include highlights such as Plaza de Armas, the cathedral and Koricancha Temple. We’ll also visit the ruins of Sacsayhuaman just outside of Cusco. The UNESCO World Heritage listed site of Sacsayhuaman is a walled complex and the former capital of the Inca Empire. This morning you will have an early start to visit Machu Picchu at sunrise and see the vivid colours that illuminate this amazing destination. You will have a guided tour of the ruins and monuments, such as the Main Square, the Circular Tower, the Sacred Solar Clock, the Royal Quarters, the Temple of the Three Windows and the Cemeteries. The citadel was discovered in 1911 by the American explorer and academic, Hiram Bingham. Many theories on the citadel exist, but most agree it was a holy site, hidden for centuries and never found by the invading Spanish. For those looking for adventure, we recommend the one and one half hour trek up Huayna Picchu Mountain, which overlooks Machu Picchu and allows for spectacular views of Machu Picchu and the surrounding area. Your return train through the Sacred Valley of the Incas to Cusco will depart in the afternoon and arrive in the early evening. 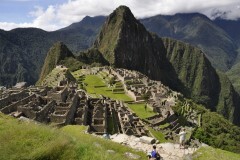 Includes guided tour, and return bus from Aguas Calientes village, return to Cusco. Depart to Cusco airport for your flight to Santiago. 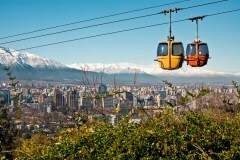 On arrival to Santiago airport, you will be met by our representative and transferred to your centrally located hotel. 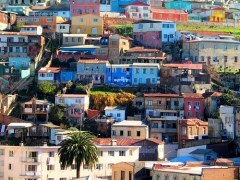 After check-in, the remainder of the day is at your leisure to explore the Chilean capital. *As an alternative to this traditional city tour, we can also offer the city tour as a walking or bike riding tour. Contact us if you would like more details on these options. From Valparaiso we’ll head to the fashionable coastal resort city of Viña del Mar where we can admire the famous city ‘flower clock’ and visit the Main Square, which offers an ampitheatre that hosts the Viña del Mar International Song Festival every summer. Our representative will pick you up from your hotel and transfer you to Santiago airport for your flight to Easter Island. On arrival at Mataveri airport you will experience a traditional welcome with flower necklaces before being transferred to your hotel. The rest of the afternoon is yours to visit the churches of the village. Among the various statues you will find traditional Roman Catholic symbols as well as indigenous ones. This morning, the first stop is Ahu Vaihu, where eight large moais lie in ruins. Next, on to Ahu Akahanga, which is also known as the “platform of the king”. Your trip will continue to one of the most attractive places on Easter Island, the volcano Rano Raraku, where 95% of all moai were carved. Next, you’ll visit the beautifully restored Ahu Tongariki. This magnificent platform is the largest on the island, containing fifteen moai. Then, you’ll continue your trip along the north coast and pass through La Perousse Bay to stop at Ahu Te Pito Kura. This is the site of the largest moai ever transported and erected onto an ahu. 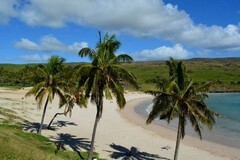 Last stop is the beach of Anakena, where King Hotu Matua first landed on Rapa Nui. From Hanga Roa, it is a thirty minute drive to the volcano Rano Kau, where the ceremonial village Orongo is also located. It is the ceremonial centre of the cult of the bird man, "Hombre Pajaro", which began when the "Short Ears" stopped building Moais. Your guide will explain this "new" culture of the island and show you famous petroglyph images. This site offers the view of three small islets in the Pacific: Motu Nui, Moto Kau, Moto Iti. The afternoon excursion will take you to the Ahu Akivi site, which boasts seven Moais. This site was one of the later constructions built, probably at a time when the statue cult was beginning to unravel. Ahu Akivi is unusual because it is neither at the coast nor are its Moais facing towards the land, unlike all the other ceremonial statues. At the ceremonial centre of Ahu Akivi there are seven standing Moais who, unlike most others, look out at the sea. 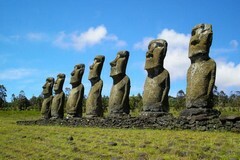 It is said they represent the sons of a Maori sorcerer sent to search for Rapa Nui, the home for King Hotu Matua. However, Georgia Lee states, "their function was to look out over the ceremonial area... the ocean just happens to be out there in the distance." Approximately a week after the spring equinox, the seven statues all look directly at the setting sun. This inland ahu was restored in 1960, and all around the site are volcanic caves which you are free to explore. The most impressive caves are called "Two Windows" and the "Cave of the Banana." Before returning to your base, you'll visit Ahu Tepeu and the quarry Puna Pau, where topknots - hats or hairpieces for the Moai, in essence - were carved from the soft volcanic scoria. 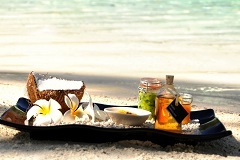 In the evening, transfer to the airport for your departure flight to Tahiti. Due to the late arrival time of flights into Papeete we include a night at an airport hotel for you. In the morning, our representative will meet you at your hotel and transfer you to the pier in Papeete for a 30 minute boat ride to the island of Moorea.On arrival to the pier of Vaiare Moorea, continue the journey by bus to your hotel. 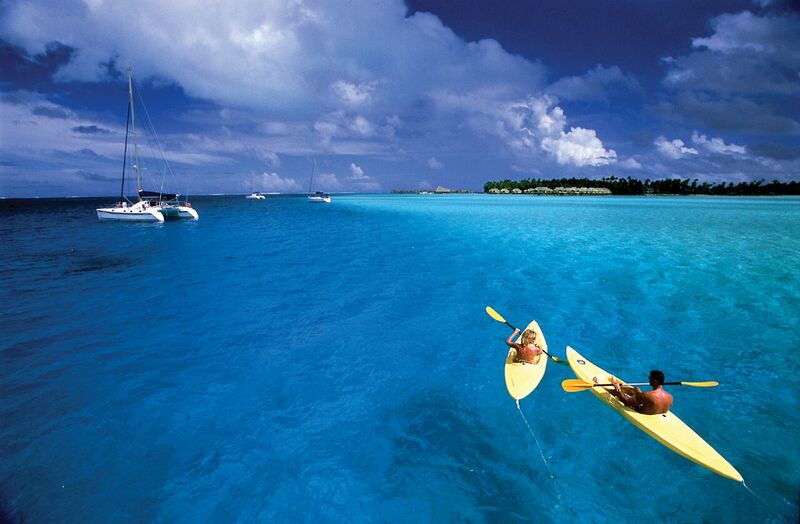 After check-in, spend your day exploring this paradise with its contrast of blue lagoons and green mountains. The lagoon offers the best snorkelling spot in the area where you have the chance to swim with black-tip sharks, sting rays, and a variety of tropical fishes among colourful coral reefs. 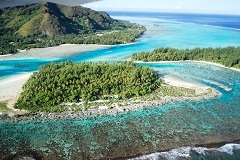 Take your time to enjoy the tranquil atmosphere and natural beauty of Moorea. Today is at your leisure to discover the magnificent culture of French Polynesia with a variety of cultural activities for you to choose from. If you are travelling in July, the island's biggest cultural festival "Heiva I Tahiti" takes place during this time, lighting up the whole island of Tahiti with dance performances and music. Please contact us for more information regarding activities. After breakfast, you will be dropped off at the pier for a boat ride to Papeete and check in to your hotel. Spend the day at leisure. Rise early for your transfer to the airport for your departure flight home. *International flights are included from Auckland and east coast Australian cities. Supplements for other cities may apply. Internal airfare prices are based on your arrival into South America being with LAN Airlines. Supplements may apply if you arrive with another airline.